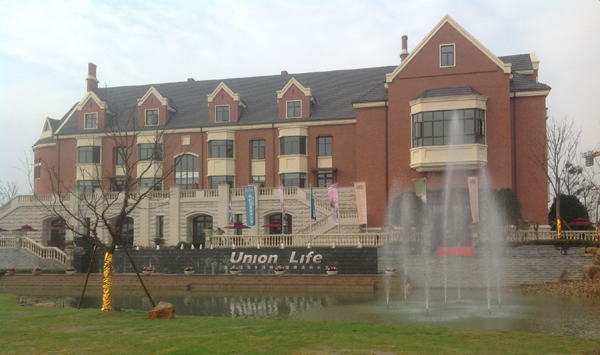 In 2010 Union Life Insurance, China’s first private insurance company and pension fund, decided to create an active living community in the central China city of Wuhan to accommodate seniors who had reached the age of retirement who wanted to continue to lead an a ctive and healthy life post full time employment. This was the first senior living development of its kind in China and set a standard for others to follow. The project was worked on by David Collins, Malcolm Allan and Richard Keeling in close association with master planners, Aecom. We recommended the use of a neighbourhood concept across the development with a “town centre” at its heart to accommodate larger facilities for entertainment, resort, wellness and healthcare, of a sufficient size to attract people from outside the community in order to help integrate it into the surrounding area, to increase the vitality of the centre and to strengthen its economic base. This concept created a development that will accommodate approximately 20,000 residents subdivided in 6 distinct self-sufficient neighbourhoods each with a population of approximately 3,000 residents and a town centre that includes additional amenities for the whole development and for people from the outside (from the wider Wuhan area and visiting relatives). The initial phase (Neighbourhood 1) comprised a 245 Mu (40 acres) site and was the subject of specific design and positioning by architects Perkins Eastman with whom we worked closely. The initial phase included the village centre and 200 residential units of between 50m² and 100m². Throughout we worked with the client and architects in the design and layout specifically to maximise the benefits to the ageing community residents in the development and the positioning of the initial phase with the village centre and the subsequent phases. Neighbourhood 1 is now completed. As a result of our involvement and the success of Phase 1 Union Life will shortly be developing further phases and is starting work on sites in other locations in China.